FEMALE Simmental breed records were smashed in the dis- persal of the Sterling herd, held on behalf of Boddington Estates, Cheltenham. The current female record of 18,000gns was broken by 10,000gns when March 2016-born maiden heifer Sterling Bacardi’s Hawaii flew to 28,000gns. back in-calf to Sterling Haymaker 16. The buyer was Harte Peat, Clones, Co Monaghan. 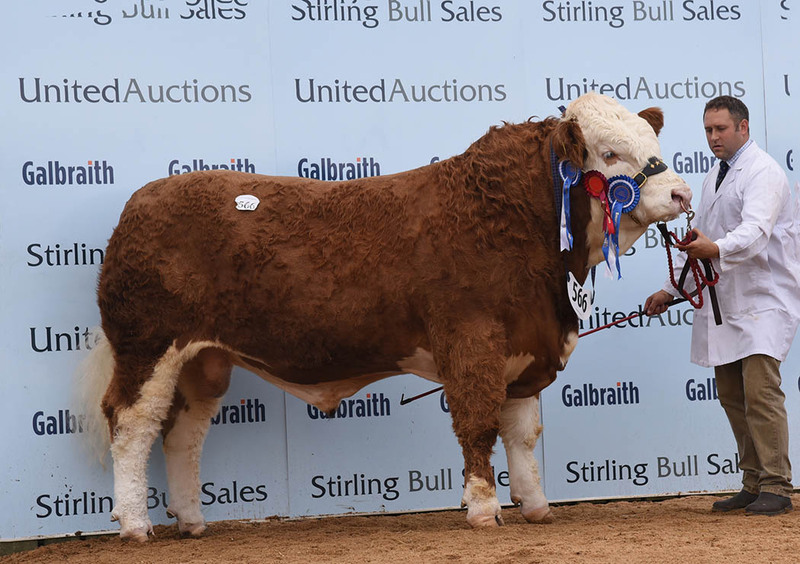 Two lots hit 8,000gns, achieved for March 2014-born cow Sterling Candy’s F.C.U.K, a Sterling Cotswold 11 daughter which sold in-calf to Sterling Glastonbury 15 to W.J. and M.Mash, Bannockburn. It was sold with its Gino-sired heifer calf at foot. J.H. Wilson, Co Down, paid the same for Sterlings Sadie Faith, a March 2014-born cow by Mendick Sadie’s Faith. 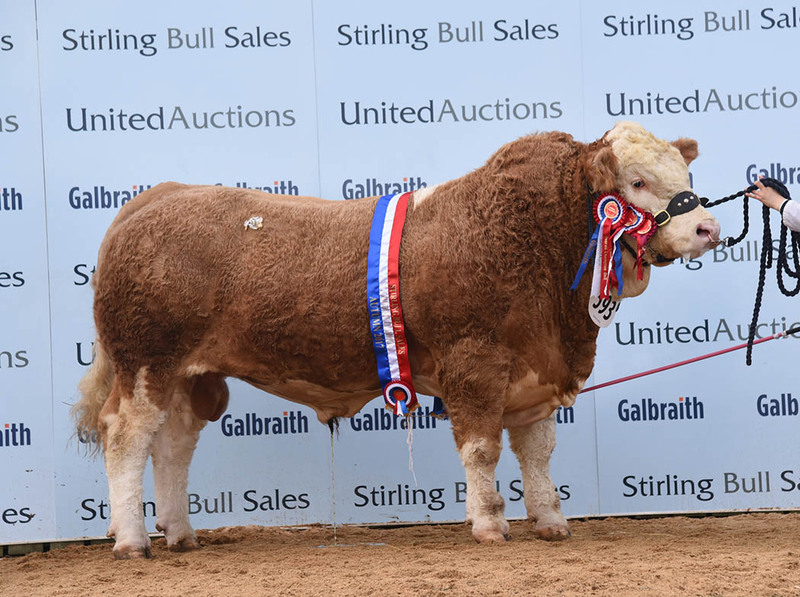 Out of Thursford Sadie 26, it sold in-calf to the 4,600gn bull Burghbridge Gabriel. Sterling Celia’s Fifi sold with its heifer calf at foot for 22,000gns. 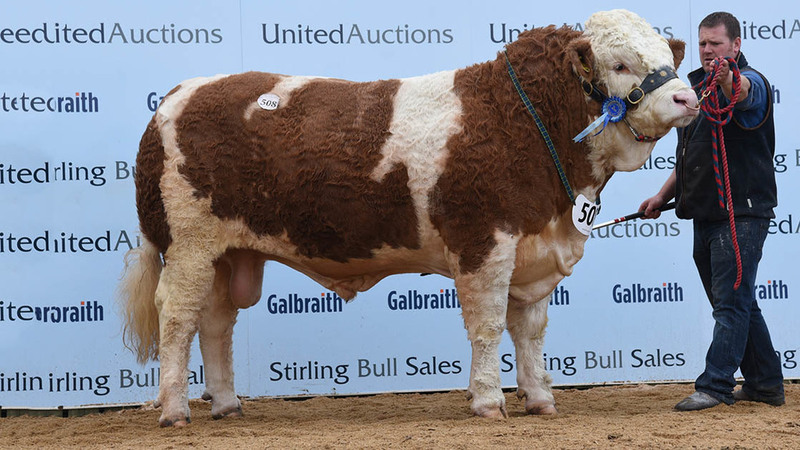 IN the Simmental bull sale, it was the final beast in the ring which took top price billing. This was Manor Park Hansome 16, a July 2016-born bull from Clive Houldey, Waterbeck, Lockerbie. 61 bulls sold to average £5,720, compared to last year’s average of £5,383, but a selective trade meant clearance was particularly low at only 52 per cent. By the 9,000gn Slievenagh Extra Special and out of Manor Park Daydream, Hansome was picked up by G. Behan, Co Laoig. Manor Park Hayden 16, also from Mr Houldey was knocked down for the second best price of 18,000gns. By the 20,000gn Stirling buy Blackford Worzel 2, it is out of Manor Park Bronte. Born in April 2016, it clinched the overall pre-sale title before selling to A. Wright, Argaty. The Wolfstar Elusive 13 son Islavale Hogan 16 from W.S. Stronach, Keith, went for 15,000gns. Out of a homebred dam, this March 2016-born was junior inter-breed champion at the Scottish National show and inter-breed at Keith show. The buyer was K. Ewenston, Orkney. 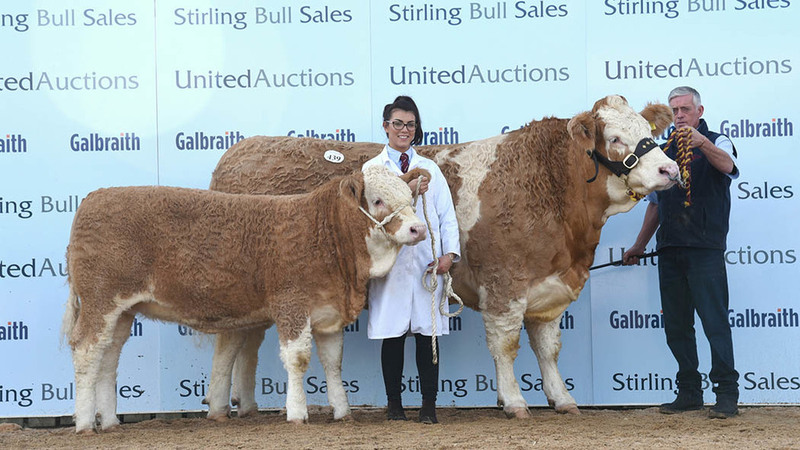 Topping at 13,000gns was the reserve show champion, the reserve intermediate bull Rockytop Hurricane 16, a Corskie Cannon 11 son from Gary and Angela Christie, Huntly. Out of Burghbridge Vicky 3 and born in March 2016, it sold to W.J. Hollingsworth, Sheffield. Two lots sold for 11,000gns. W.M. 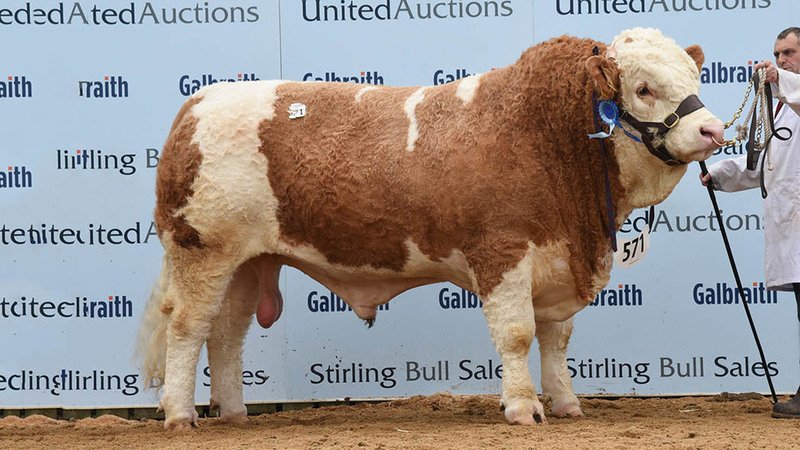 Patterson and Son, Aultmore, received this bid from J. Innes and Sons, Huntly, for January 2016-born Aultmore Hamlet 16. Sired by Banwy Bonzo 10 and out of Hazelden Jingle 8, it is full brother to the 16,000gn bull Aultmore Goliath. Making the same was Strathisla Farms, Blairgowrie, with March 2016-born Strathisla Hagrid 16, an Islavale Donald 12 son out of a homebred cow. It sold to James Jeffrey, Kelso. J.I. and W.N. 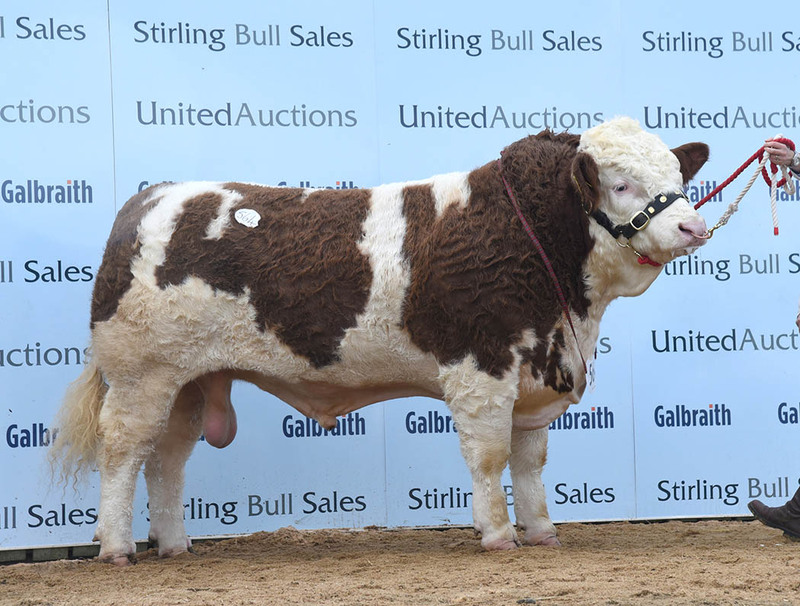 Stout, Stronsay, paid 10,000gns for Innerwick Hotshot 16 from L. Moffat, Dunbar. Out of a homebred dam, its sire is Braidwood Everest 13. 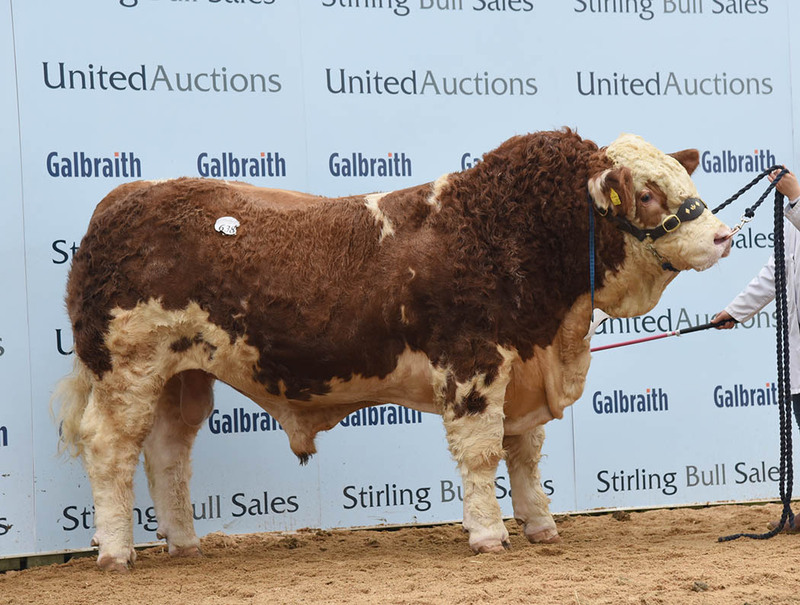 Averages: 61 bulls, £5,720 (2016, 82 bulls at £5,383). Manor Park Hayden 16, also from Mr Houldey went for 18,000gns. Islavale Hogan 16 from W.S. Stronach went for 15,000gns. At 13,000gns was reserve show champion, Rockytop Hurricane 16 from Gary and Angela Christie. 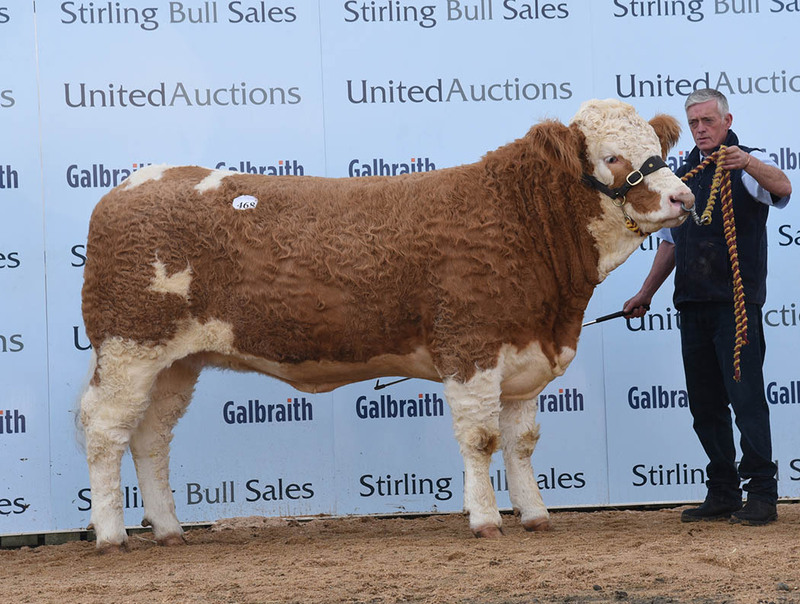 At 11,000gns was Strathisla Farms with Strathisla Hagrid 16. Aultmore Hamlet, from W.M. Patterson and Son which sold for 11,000gns. OUTWITH the dispersal, the in-calf heifer Annick Easter’s-Ginny from L.D. Quarm, Irvine, topped at 4,500gns. By Corskie Callum 11 and out of Annick Clementine, it went to N. and N. Gwynne, Newton Stewart. At 4,000gns was Annick Trixibelle 19, a Skerrington Visa-sired maiden heifer out of Annick Trixi Belle 9. The buyer was I. and E. Gleave, Haigh. Boddington Estates dispersal: 13 cows and calves, £5,605; 25 in-calf cows, £2,375; 14 in-calf heifers, £3,135; 17 maiden heifers, £4,101;14 young bulls, £1,560.